Yup, I feel like I keep having them all the time. Oh, well I should be counting all of my blessings because I have so many. A wonderful husband, a new kitchen that is almost finished, my health, a business that has been doing well even though the economy isn’t and many furry angels that have come into my life. Here is my Herman. The first kitty I had. He only lived 9 years but he was a special kitty. 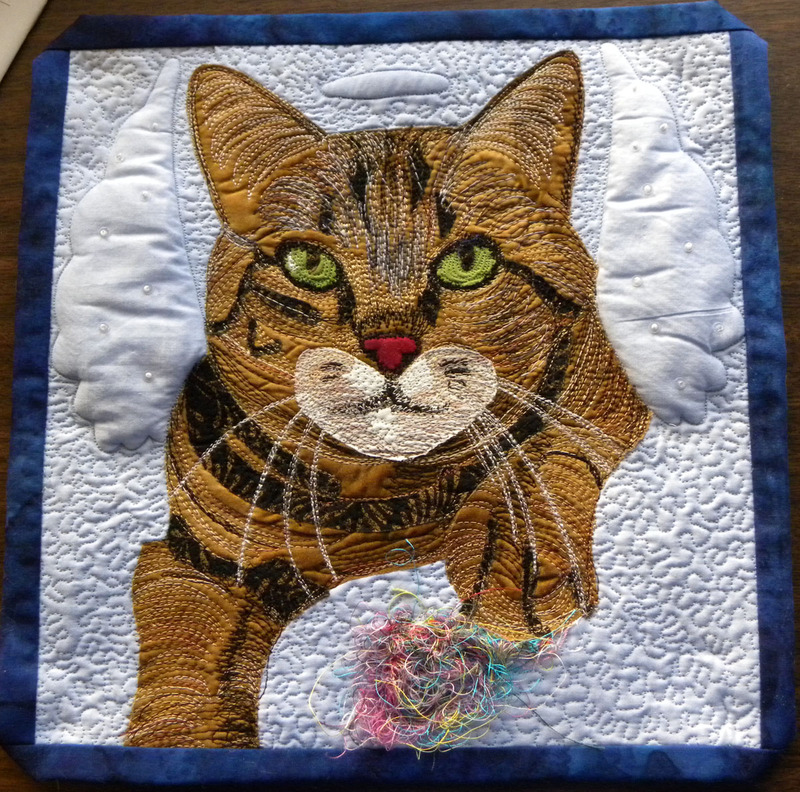 He was so special I had to create a quilt about him. He was my Hermee Angel and I know he’s in kitty heaven having a great time. I love your story and I love this quilt. I also have many furry angels that God has sent me and some that have also gone back to Him.